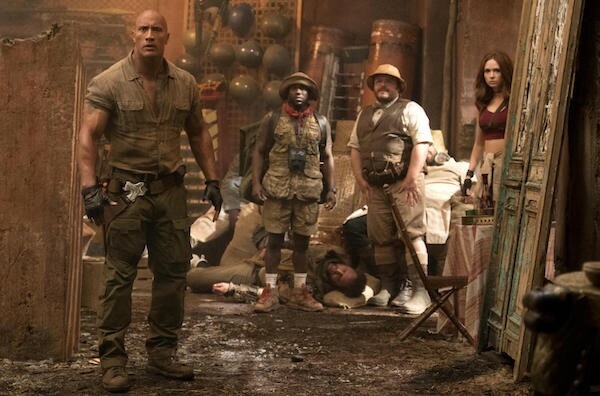 No one was exactly clamoring for a sequel to 1995’s Jumanji, yet here comes Jumanji: Welcome to the Jungle — and the holiday season just became a bit brighter. Arguably even more engaging than its predecessor, this one finds four disparate high school students discovering the magical game (which has reconfigured itself from a board game into a video cartridge) and being thrust into its dimensions. The clever hook is that these four kids have been placed into the bodies of adult avatars (played by Dwayne Johnson, Jack Black, Kevin Hart and Karen Gillan) yet retain their teenage personalities. The result is enjoyable and undemanding entertainment, with the plot just sturdy enough to hold the weight of the stars’ irresistible characterizations.